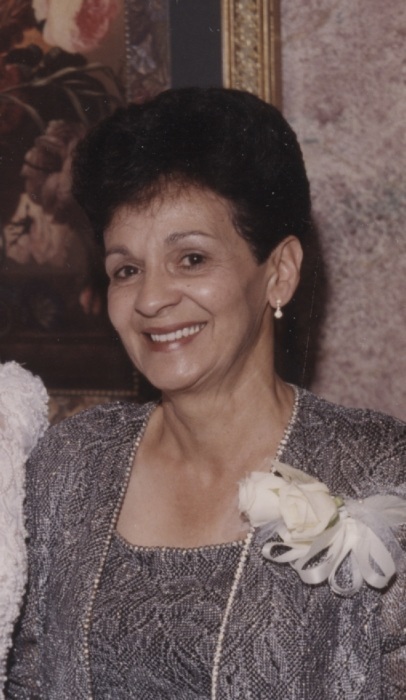 Obituary for Mary JoAnn (Kelley) Baker | McIlvaine-Speakman Funeral Home LTD.
M. JoAnn Baker, 78, of West Middletown, passed away Saturday, December 1, 2018 in the Donnell House in Washington. She was born February 2, 1940 in Louise, WV, a daughter of Dennis and Grace Pepe Kelley. Mrs. Baker was a 1958 graduate of Avella High School and was a former member of Israel AME Church in West Middletown. She loved gardening, reading and spending time with her family. On June 8, 1962, she married John L. “Jack” Baker who died August 16, 2005. Surviving are a daughter, Jacqueline Williams (Arthur) of Pittsburgh; a son, John L. Baker II (Paula) of Houston; three grandchildren, Andrew Baker (Abbey), Brandon Baker and Sydney Williams; four great grandchildren; a sister, Betty Umphrey (Donald) of West Middletown; and a host of nieces and nephews. Deceased are a brother, William Kelley; and a sister, Henrietta Young. Friends will be received from 2 – 4 and 7 – 9 p.m., Monday in the McIlvaine-Speakman Funeral Home Ltd., Robert K. McIlvaine, Owner/Supervisor, 27 Cherry Ave., Houston, PA 15342, where services will be held at 11:00 a.m., Tuesday, December 4, 2018 with Rev. Oliver G. Tyler officiating. Interment will follow in West Middletown Cemetery. In lieu of flowers, the family suggests memorial contributions to the Donnell House of Concordia Hospice of Washington, 10 Leet St., Washington, PA 15301.